This weekend’s Squidstorm 2017 in Boston hosted a number of Splatoon teams both amateur and pro, but few captured our hearts like Squidlife Crisis, whose player “moose” grabbed the Rainmaker and ran the wrong way with it. The objective of Rainmaker in Splatoon 2 is to grab the big golden gun and get it to a platform on the enemy’s side. 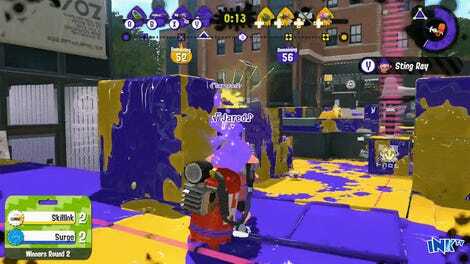 A little like capture the flag, if the flag was a golden ink-zooka. When “moose” runs the wrong way with it, the commentators quickly note that it explains why there was so much ink for him to swim through. It’s alright though, as Squidlife Crisis would go on to beat Frank’s Hotdogs 3-0 and finish 5th in their pools. A win for all those who have grabbed the objective and immediately botched it.